Paganism and idolatry are real. Those who live in the West seldom see people worshiping or offering sacrifices to idols, but paganism is as real today as it was in the time of the Bible. Idolatry is not just a metaphor for materialism, it exists in a physical and tangible way as well. 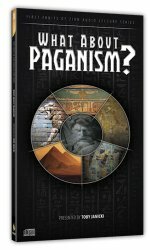 Paganism is not just something for the history books, but it is something every believer must guard against even today. Also available in MP3 format here. 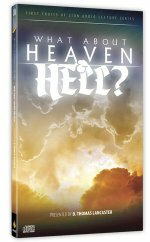 What About Heaven and Hell? 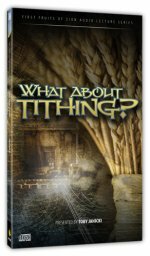 approaches the question of eternal destinies from a Messianic Jewish perspective. D. Thomas Lancaster takes listeners on an apocalyptic tour of apostolic-era, Jewish views of the afterlife and uses that information to cast light on New Testament passages about Heaven and Hell. "Our Master was Jewish. It stands to reason that if we want to understand what Yeshua and the apostles believed or taught, we should consider what Judaism believed or taught on the same subject." Treasures in Heaven is a challenging and engaging six-session seminar intended to help us review our Kingdom priorities as disciples of the Master. This timely message renews a sense of purpose in these times of uncertainty; it draws from the recent political and economical events using the climate of our times as a motivator to correct our paths and prepare us for the return of the Messiah. We have ventured into new territories of the faith and now face questions that we had never considered and may not be prepared to answer. 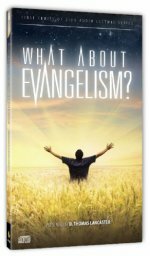 Intelligent questions posed by opponents of the Gospel can shake our faith and cause us to question the Messiahship of Yeshua. 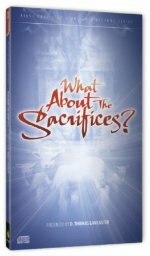 Offers a balanced approach to the difficult questions raised by Judaism—specifically questions about the identity of Yeshua and His divine nature. We explore some of the incredible claims Yeshua made about Himself and challenges us to examine our own allegiances. Where do the Apostolic Writings come from? Do they really present an accurate portrayal of the Messiah? 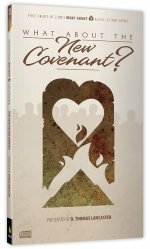 Toby Janicki tackles some of the major issues surrounding the reliability and credibility of the Apostolic Writings and the testimony of the Messiah presented therein. In these seminar sessions, Boaz Michael and D. Thomas Lancaster discuss the process that leads messianic believers to question the Gospel and ultimately deny Messiah through a conversion to mainstream Judaism. 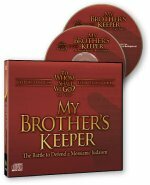 Solid material with solid answers to difficult questions. Not for the theologically weak of heart! 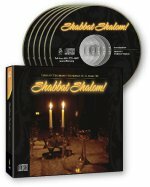 Learn Hebrew straight from the Bible in this 5-CD Audio set, week-by-week and in step with weekly Torah portions. By the end of a year, you can know all 54 names of the weekly portions, what they mean, and highlights of that section of Scripture. 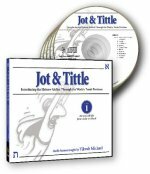 The sequel to Jot & Tittle. 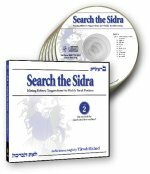 Continue learning Hebrew straight from the pages of Torah, week-by-week, through 54 landmark verses with the Search the Sidra audio Hebrew lessons. By year's end, you can cut right into the meat of the Word! 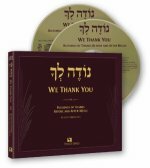 This Audio Companion for We Thank You makes the traditional table melodies available for both Hebrew and English readers and will cause your table to come alive with the joy of gratitude. Are you ready for a story? Join D. Thomas Lancaster as he tells stories from the Torah, Gospels, and the Sages of Israel. Listen to lessons that are drawn from the weekly Torah portions, as heard on the Torah Club audio series. 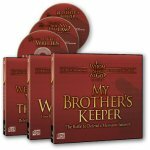 Children of all ages will enjoy these biblically-based tales of God's people.